Our shop 's online shop is a shopping cart system to complete lure pre - orders. It is the system which lure order is completed. ※ Lure product sales are complete reservation production sales. ※ Items displayed in the shop are not inventory items. 1. Customers who wish to order lures please click "Pre-Order" button. Usually you can book from 4 items to 8 product sets. Lure item Please select at least two items. ※ Single item can not be manufactured / sold. Please select whether to login or "newly register". After logging in, there is an agreement item to "terms of service" at the bottom of personal information. ※ Be sure to check "agree to the terms of service". I will make a selection of a shipping agent. For overseas customers, please select "EMS International Speed Mail". Although this screen can originally select payment method, you can only select "bank transfer". The reason is that if you set "paypal settlement" on the shopping cart system, payment link will automatically appear on the final screen, so we do not set it up. Customers abroad will be the "Paypal settlement" transfer. Do not worry, please proceed to the next step. Details of "Preorder order" will be displayed and reservation will be completed. Immediately afterwards, you will receive an automatic delivery email of "Pre-order details". ※ Please do not complete payment first. ※ Be sure to wait for notification of the lure product pre-order from the shop. 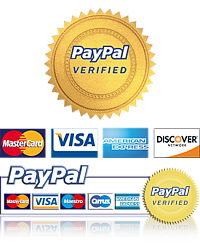 We will contact you payment of "paypal mail settlement". ※ Because there are usually many reservations, payment notification may be several months ahead. Payment in Japan is only "bank transfer". ※ After the pre-order is completed, it will be the payment period within 3 days. If you can not pay within 3 days, the reservation order will be canceled. We will commence production of your order product in a few days. We will inform the customer of lure product reservation completion. At this point, we will prepare for lure product production. We will commence production of order product in a few days. It takes about 40 days in 4 product sets. Handmade in all stages, ultra precise Because we carefully produce, it will inevitably take days. Luer production process, please refer here ↓. We will inform the customer the details of the completion of the lure ordering product and the shipment. Lure As soon as the product is completed, we will ship. Customers overseas will ship by "EMS International Speed Mail". Dispatch in Japan will be shipped by "Kuroneko Yamato Takkyubin". Please be aware of precautions. Our shop accepts requests regardless of individuals and traders. There is no special price setting of the trader, please understand kindly. ※ We do not accept inquiries from non-members. Please register from "New Registration" . ※ Because we can not respond to inquiries by phone "Inquiry form" from please. Free shipping if total purchase value exceeds 80,000円. ※ We will purchase over 80,000 yen, we will shipping free shipping. Dispatch to overseas will be sent by "EMS International Speed ​​Mail". ※ Tax is included in selling price. Payment from overseas becomes e-mail payment of "PayPal" . ※ Be sure to wait for notification of payment details of this shop. ※ After reservation details are completed, your email address will be charged. ※ Please complete payment at this point. ※ When this shop confirms payment of the price, the pre-order will be completed. Payment in Japan will be a transfer of "Japan Net Bank". It is a new product of the store manager. It is the manager's recommended product. This mark is attached to the top five sales rankings.